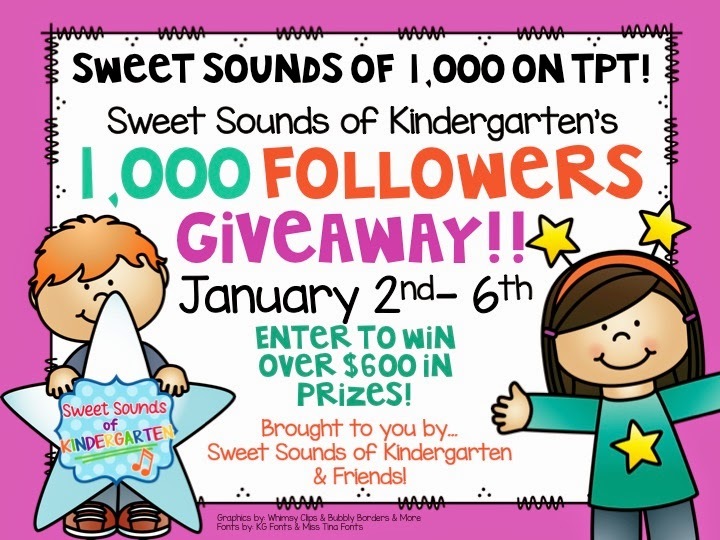 Sweet Sounds of Kindergarten 1,000 Follower Giveaway! 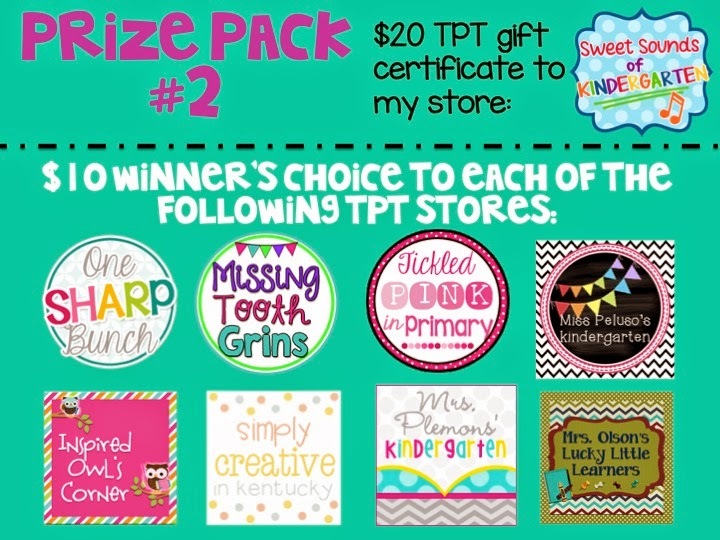 Sweet Kelly from Sweet Sounds of Kindergarten is celebrating 1,000 followers on TpT! 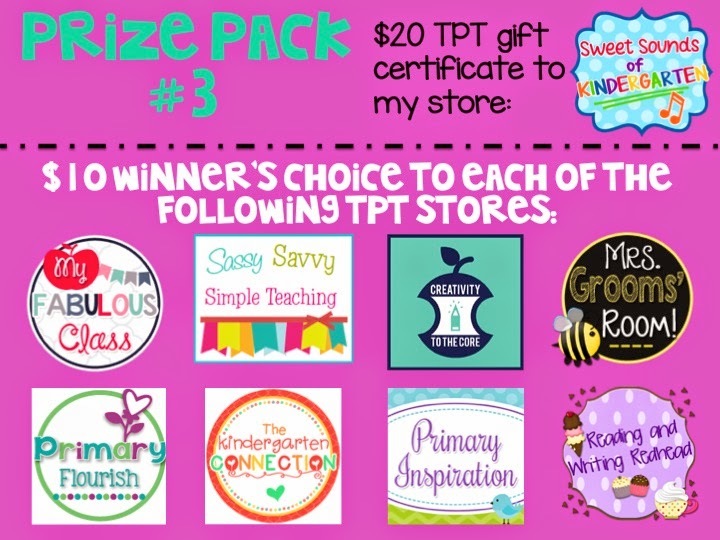 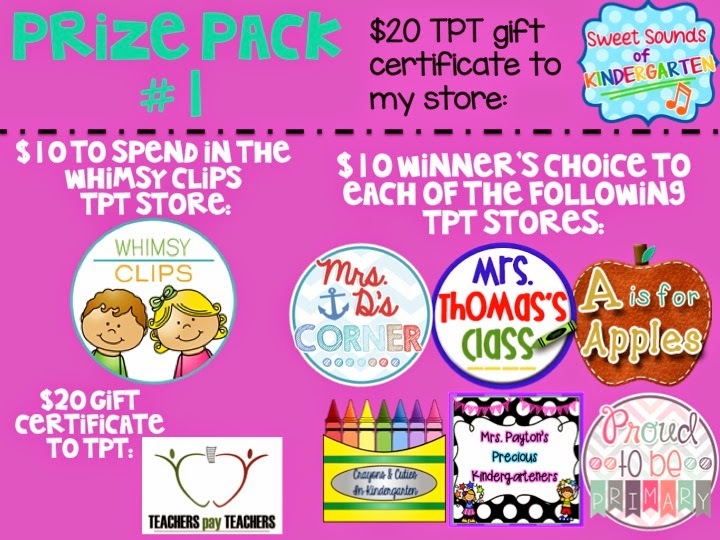 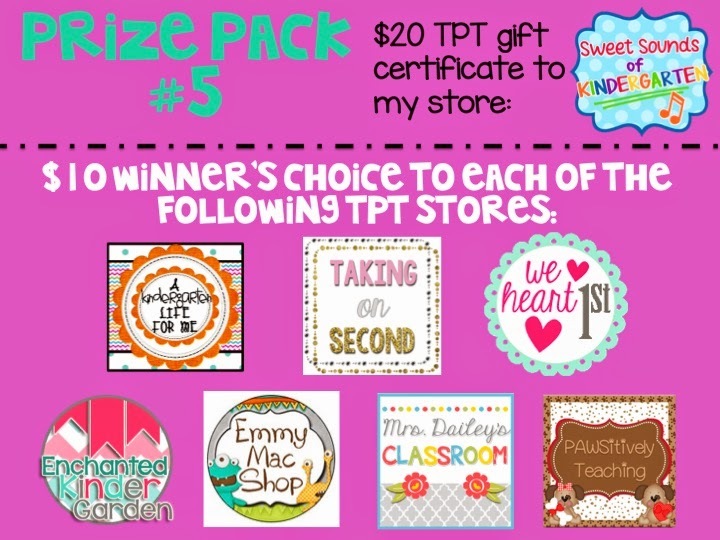 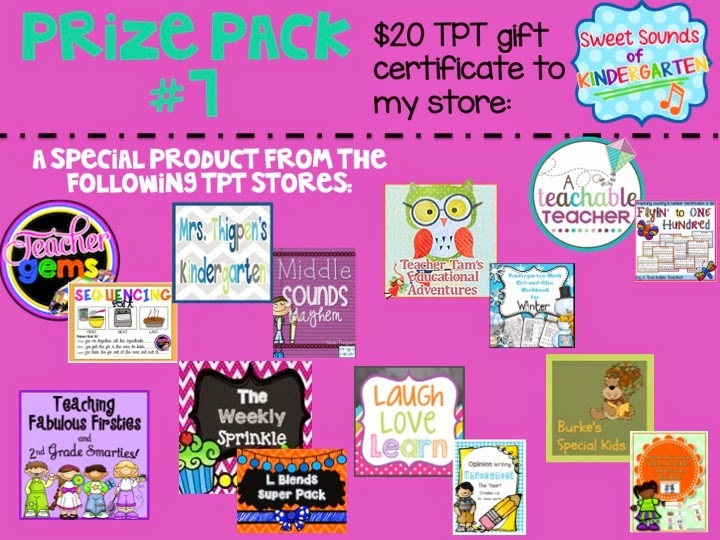 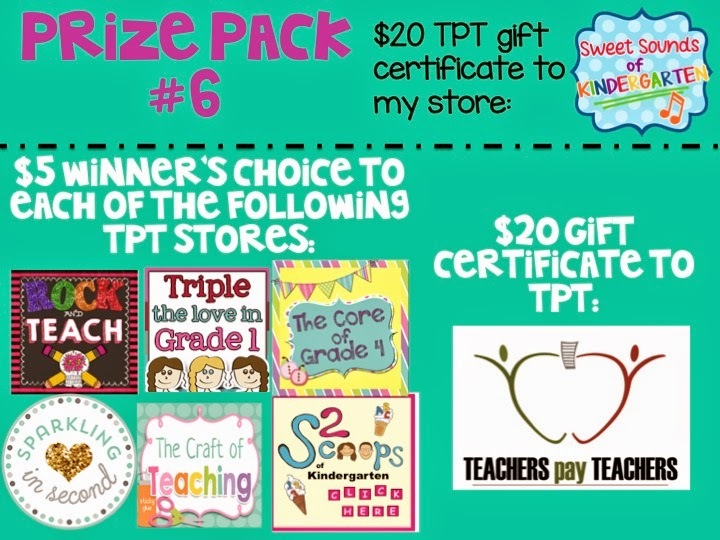 There will be seven chances to win products of your choice from many TpT stores! 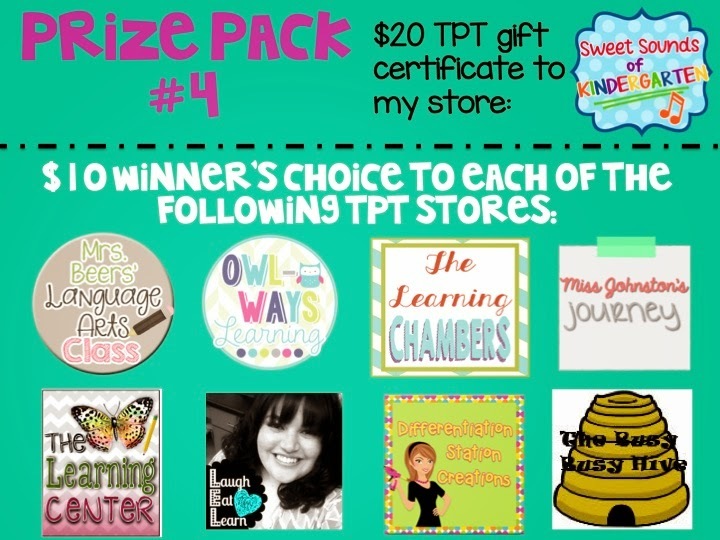 See the prizes below, and be sure to click on her blog above or the graphic at the bottom to head over to her blog and enter!